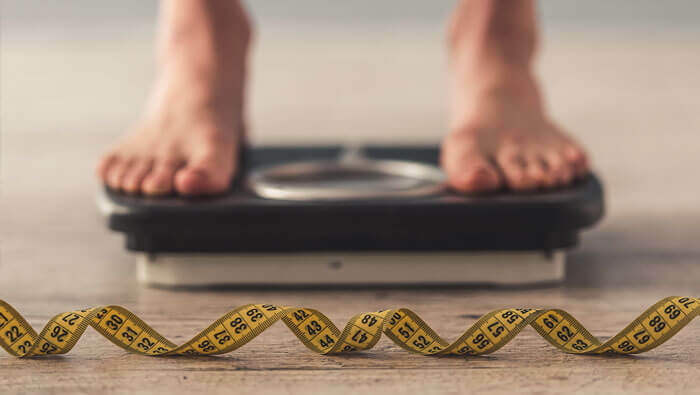 Even though you are trying very hard, sometimes it seems as though we make commitments to exercise and healthy eating, but we just don’t see the results when we step on the scale. If that is the story of your life, it is time to re-evaluate your behaviour, and try to identify the root of your undoing. Besides keeping you hydrated, drinking water on the regular, according to recent studies, can aid with weight loss. Filling up on water before a meal helps encourage portion control, and eating foods that contain a lot of water (like fruits and veggies) will fill you up faster, causing you to eat less. A small study even found that drinking cool water can speed up metabolism and discourage cravings for sugary drinks like soda and juice. Now that’s a reason to stay hydrated! Nuts, avocados, whole wheat pasta, olive oil, and dark chocolate are all natural and healthy, but they aren’t void of calories. You still need to watch how much you eat of the good stuff. For example, avocado offers a ton of health benefits, but an entire fruit is over 200 calories. If you live on the treadmill but never lift a pound, then you’re missing out on one of the most important pieces of the fitness puzzle. Not only does weight training prevent injury by strengthening the joints, but it also builds muscle mass and increases metabolic rate. BONUS TIP: Thanks to a revved-up metabolism, you’ll keep burning calories long after you’ve slipped off your sneakers. Giving up entire food groups can lead to a nutritional deficiency – not to mention trigger major cravings for whatever food has been cut. Rather than, say, eliminating all carbohydrates, focus on whole grains and remember to monitor portion control. Usually it’s the extra servings that add to your waistline, not the pasta itself. Making time for your workouts can mean less time for sleep, but it’s important to get enough z’s if you’re trying to lose weight. You need extra energy to keep up with your exercise routine and skimping on sleep can affect your body’s ability to control its appetite: not enough shut-eye increases appetite-stimulating hormones. Eating five to seven servings of fruits and veggies a day is important for everyone, but dieters who go heavy on the produce are more likely to lose and keep the weight off, since a diet full of plant-based foods offers a greater variety of nutrients with fewer calories – and all that fiber keeps the body feeling fuller longer. A salad is one of the healthiest meals you can have, but when you top it with bacon bits, goat cheese, nuts, dried fruits, and ranch dressing, you can double the calorie amount in a flash. Be aware of how many calories your favorite salad extras add on. For instance, 10 croutons is an easy 100 calories. Soda offers literally no nutritional benefits and continuing to drink the beverage is sabotaging your weight-loss goals – even if you only drink diet. Studies have shown that individuals who drink two diet sodas a day or more had waistlines that were 500 percent larger than the non-drinkers. Going for foods with a lower calorie count can be deceiving, since many times they’re filled with extra sodium, sugar, or chemical additives to make up for the ingredients the company has removed or decreased. Not only are these light versions less nutritious, but they also end up tasting “lighter,” leading you to eat more. You’ll probably end up consuming more calories than you would if you just ate a regular-sized portion of the real thing. A post-workout snack is just that – a snack. And unless it’s mealtime, what you eat after an average workout should be around 150 calories. Since healthy foods like trail mix can be high in calories, measure out a serving instead of mindlessly chomping straight out of the bag. Hitting your favorite restaurant is a great way to unwind, but you’re more likely to indulge in a huge meal complete with appetizers, drinks, fried foods, and dessert. Calorie counts are also a mystery, since many foods aren’t labeled. If you don’t want to give up your nights out, then split a meal with a friend, order healthy options like salads and grilled chicken, and sip water instead of wine. If you are still feeling lost and don’t know where to turn, book a FREE 15 minute nutrition consultation with one of our One Health Clubs Nutritionists. Call your Club and book your appointment today! So What’s the Truth Behind Buying “Organic”?